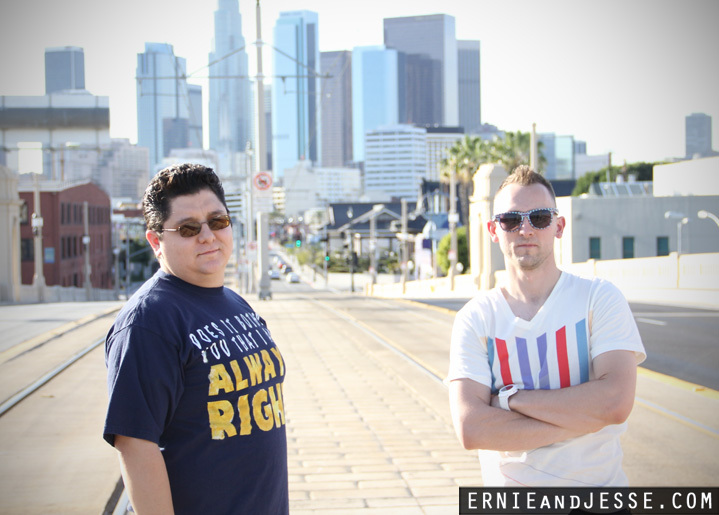 ERNIEandJESSE is a weekly podcast starring Ernie Mendoza and Jesse Daniels. The show is a conversation about many topics. A conversation you would have with any of your friends, if they were as cool as ERNIE. While realizing the importance to talk about all issues, no topic will be uncovered. ERNIEandJESSE like to teach life lessons while cracking jokes at the same time. The men understand how to get serious without taking themselves too seriously. They like to make you laugh, and make you think. These are average guys giving extraordinary information. ERNIE is the man behind ERNIE-isms and the most passionate voice you hear. JESSE is so busy working behind the scenes he almost forgets to talk. ERNIE likes to discuss topics as open as possible, whereas JESSE may be more reserved. JESSE likes to put in work on editing and producing the show, whereas ERNIE may be less inclined to lift a finger. However, collectively this dynamic duo is as close to perfection as you can get. This is ERNIEandJESSE. 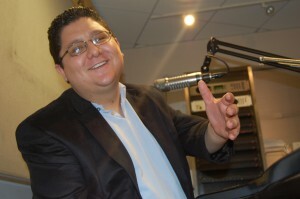 Ernie Mendoza is a loud obnoxious know it all! The worst part is, he’s usually right. Growing up in underfunded areas, then spending time with people who had money later in life he has gathered a large amount of knowledge throughout. Though he sometimes has controversial opinions, he still has a heart. He doesn’t claim to know everything, but does have an opinion on it all. He will tell you what he thinks and what he thinks you should do, and when you think about it, you will listen. He has a radio education, trained in the vocal arts. He also utilizes his contacts to accomplish whatever needs to be done. He LOVES to argue and will always talk your ear off until you agree. Not always a party animal, he will definitely be the loudest one there and will be getting people going. He will give you an earful and hopefully you’ll find it entertaining. Now with ERNIEandJESSE.com going strong you can hear a new batch of his opinions and rants as you laugh your way to enlightenment. Content Provider, Audio Producer, Video Editor, Graphic Designer, Social Media Strategist, Party Rocker, Hard Worker, Sometimes an Actor, and All the Time a Father are just a few of the talents of Jesse F Daniels. Content Provider. 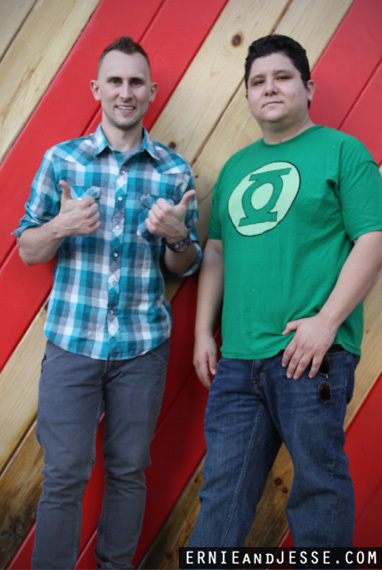 Co-Host of the online podcast www.ERNIEandJESSE.com, Jesse has taken the show from its grassroots startup to its 3rd Season. Building a strong fan base along the way, he has helped create audio, graphics, and other viral media for the podcast. Audio Producer. In late 2010 Jesse founded www.NEONLIGHTSHOW.com a website dedicated to the Electronic Dance Music (EDM) scene. Connecting with DJs in the industry, he has produced multiple drops and sweepers for DJs and other radio hosts. Video Editor // Graphic Designer. As a freelance video editor Jesse has contributed Promo videos for a wide range of clients from Corporate to Bloggers. 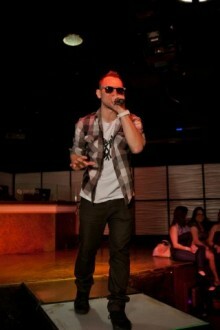 Party Rocker // Hard Worker. It is clear and evident the work ethic instilled in Jesse Daniels. He is always looking to take on new projects and work with new people. 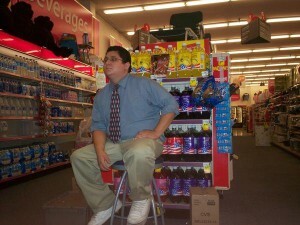 However, he also enjoys trying to dance and watching others dance and sing and have a good time. He is inspired by life and the art of other people. Actor. As a SAG eligible background actor he has worked with everything from Extreme Costuming and makeup to Detail-oriented Explosion scenes. Transformers, The O.C., Ugly Betty, and CSI are just a few of the many TV shows and movies that Jesse Daniels has worked on. Father. 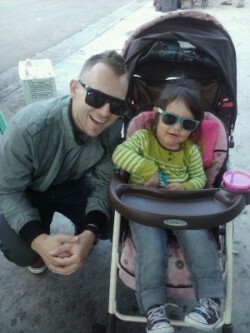 In 2009, Jesse became a father to a baby girl. At that time he created www.myMiaCamila.com, the online blog showcasing his thoughts and ideas on raising a baby as a young man. A mix of party days with daddy ways. LV has the kind of genuine heart and charming spirit that makes her immediately appealing to mixed audiences. Her diverse background in communications gives her a unique place as co-host here on ERNIEandJESSE.com. From 2008-2011, LV worked with the nationally renowned non-profit organization Zócalo Public Square, where she managed media and public relations and hosted 50 national, international events & conferences per year— all of which accommodated some of the most timely conversations and influential speakers of our time. In 2010 she was recognized by the Los Angeles Magazine for outstanding achievement in cinema for her short-film documentary, “This Is My City,” which intends to showcase the real, multicultural, working citizens of this global city in their arduous, day-to-day attempt to realize their own versions of the “American dream”. Currently, she freelances as talent for a variety of media platforms, including Exitos 93.9 FM and of course, ERNIEandJESSE.com. Her inquisitive nature and journalistic background compel her to cover on a range of topics, including pop culture, entertainment, health, and wellness. She sees her work serving a purpose higher than herself and hopes to empower her audience with key information to help them better understand the world around them. She wholeheartedly believes in the old notion that says, “knowledge is power”. Among her many artistic talents, LV works as a freelance makeup artist under her own company, LV Artistry Makeup Design, where she specializes in all aspects of beauty makeup— from bridal, TV, film, runway, as well as editorial and commercial print. Here, she’s had the pleasure of working with many industry professionals in the last two years, including photographers, models, celebrities, and private clients of all genders and ethnicities. You can visit her portfolio on modelmayhem.com/LVArtistry and on Facebook.com/LVArtistry. LV is a proud, native Angeleno and holds a B.A. from California State University, Fullerton, where she studied media communications and broadcast journalism. She loves to get down on the dance floor and is arguably the biggest Michael Jackson fan on the planet. In her spare time she likes to put on her favorite pair of white socks and moonwalk across her kitchen floor when she thinks no one is watching. You can catch LV giving helpful tips and information and always representing for the ladies every show. You can also catch her covering red carpet events, and co-hosting live episodes, here on ERNIEandJESSE.com!